San Francisco traffic is horrible. Whether you commute or “reverse commute,” the number of cars on the road at any given time traveling in and out of the city is nothing short of bananas. 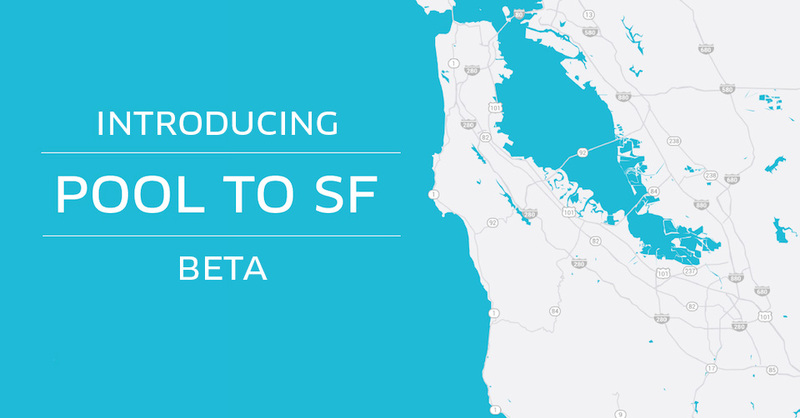 So it’s interesting to see Uber announce that it will offer “Pool to SF,” a new use of UberPool that allows residents from other cities (within certain borders) to pool with another user and get to SF on weekday mornings for as low as $20. If two people choose to commute together in one car, then they pay $10 extra. According to the company’s blog post, the fares will vary depending on where riders are picked up and the time of the trip. Noticeably, it also only works one way — it doesn’t seem there is an option to pool back home, likely due to the intricacies of matching riders. Uber will run the program with this pricing for a limited time. Residents in Palo Alto, Mountain View, and San Jose within select borders are eligible for the service — coincidentally cities already covered by the area’s CalTrain service.